From The Racer InsiderRainey, a 6-4 forward, played for the Racers from 1993-97. A three-time All-OVC selection, he is eighth on the career scoring list with 1,888 points. He averaged 16.7 points during his career, 21.7 points as a senior. He is second in career steals with 176. He is one of just five Racers to win four OVC championships. Mark Gottfried said of Rainey, ��Vincent�s great attribute was his competitive nature. He loved to play the game and he played it with a great passion. Vincent was always in the gym, always sweating, always working. He just had a passion, a drive, a desire to be as good as he could be. And I don�t say that lightly. He really was that kind of a person and a player.� Rainey explained his drive and passion to Steve Parker in 1997, �It started when I was little,� he said. �No matter what I did my brother was always better than me. He not only beat me, he rubbed it in my face. 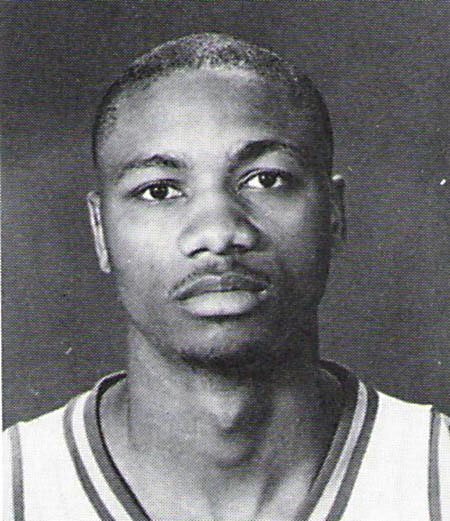 It finally got to the point where I wasn't going to let him beat me, whether it was cutting the grass or washing dishes.� Rainey helped lead the Racers to four regular season titles and two OVC tournament championships.